Robert Brandt married Adela Child Villiers. Robert Brandt was born in December 1897 at Iowa. Name Variation Marguerite Pearl Brandt was also known as Margaret. Name Variation Marguerite Pearl Brandt was also known as Margerite. Marguerite Pearl Brandt was born on 4 January 1902 at Dubuque, Dubuque, Iowa. She was the daughter of Clemens Brandt and Anna Barbara Wilhelmina Bischoff. Christian Brandt was born in March 1878 at Wisconsin also reported as Mar 1872. Peter Brandt was born in December 1881 at Iowa. Name Variation Gregory R. Brandt was also known as Gregor. Gregory R. Brandt was born in December 1883 at Iowa. Gregory R. Brandt married Lulu Broderick, daughter of Thomas Broderick and Sophia Robey, before 1925. James Brandt was born in October 1899 at Iowa. James Brandt died before 1917. Married Name before 1870 As of before 1870,her married name was Brandt. Margaret (?) was born circa 1849 at Prussia. She married Clemens Brandt, son of Barthel Joseph Brandt and Margaretha Palmer, before 1870. Margaret (?) died before 1878. Name Variation Appolone Brandt was also known as Mary Appolonia. Appolone Brandt was born on 25 January 1873 at Wisconsin. She was the daughter of Clemens Brandt and Margaret (?). Appolone Brandt died on 31 January 1903 at age 30. Joseph Brandt was born circa 1872 at Wisconsin. He was the son of Clemens Brandt and Margaret (?). Joseph Brandt died after 1917. Frona Brandt was born circa 1874 at Wisconsin. Frona Brandt died before 1917. Anna Brandt was born on 29 May 1854 at Wisconsin. She was the daughter of George Franz Brandt and Catherine Jeske. Anna Brandt died on 12 October 1913 at age 59. She was buried after 12 October 1913 at Immaculate Conception Church Cemetery, Kieler, Grant, Wisconsin. [S247] U.S. Federal Census 1870 U.S. Federal Census, by Ancestry.com, Year: 1870; Census Place: Jamestown, Grant, Wisconsin; Roll: M593_1717; Page: 213A; Image: 32; Family History Library Film: 553216. [S246] U.S. Federal Census 1880 U.S. Federal Census, by Ancestry.com, Year: 1880; Census Place: Jamestown, Grant, Wisconsin; Roll: 1427; Family History Film: 1255427; Page: 161D; Enumeration District: 110; . Name Variation Albert C. Brandt was also known as Alben. Name Variation Albert C. Brandt was also known as Alvin. Name Variation Albert C. Brandt was also known as Al. Name Variation Albert C. Brandt was also known as Alrennis. Name Variation Albert C. Brandt was also known as Emeline. Albert C. Brandt was born in March 1860 at Wisconsin. He was the son of George Franz Brandt and Catherine Jeske. Albert C. Brandt married Regina (?) circa 1886. Albert C. Brandt witnessed the burial of Catherine Jeske after 17 September 1916 at Immaculate Conception Church Cemetery, Kieler, Grant, Wisconsin; Catherine (Jeske) Brandt funeral. Albert C. Brandt died after 1931. Married Name Her married name was Kirchberg. Name Variation Margaret Brandt was also known as Margarette. Margaret Brandt married Edward Kirchberg, son of Johann Michael Kirchberg and Maria Lichtenberg. Margaret Brandt was born on 8 July 1860 at Wisconsin. Margaret Brandt died on 5 August 1917 at age 57. She was buried after 5 August 1917 at Immaculate Conception Church Cemetery, Kieler, Grant, Wisconsin. Name Variation Theresa Mary Brandt was also known as Teresa. Married Name 25 November 1881 As of 25 November 1881,her married name was Frendgen. Married Name 25 November 1881 As of 25 November 1881,her married name was Frembgen. Theresa Mary Brandt was born in January 1862 at Wisconsin. Theresa Mary Brandt married Leo Frembgen, son of Anton Frembgen and Elizabeth Jansen, on 25 November 1881 at Grant, Wisconsin. Theresa Mary Brandt witnessed the burial of Catherine Jeske after 17 September 1916 at Immaculate Conception Church Cemetery, Kieler, Grant, Wisconsin; Catherine (Jeske) Brandt funeral. Theresa Mary Brandt died on 17 July 1943 at Minnesota at age 81. Name Variation Frank Valentin August Brandt was also known as Val. Frank Valentin August Brandt was born on 29 December 1864 at Grant, Wisconsin. Frank Valentin August Brandt married Mary Ann Kirchberg, daughter of Johann Michael Kirchberg and Maria Lichtenberg, on 11 February 1890 at Grant, Wisconsin. Frank Valentin August Brandt died on 15 July 1951 at Wisconsin at age 86. Henry Brandt was born in 1868 at Wisconsin. As of 1900, Henry Brandt was never married. John Brandt was born circa April 1870 at Wisconsin. As of 1900, John Brandt was never married. Name Variation Mary Brandt was also known as Maria. Mary Brandt was born in February 1873 at Wisconsin. Mary Brandt died on 7 March 1906 at age 33 also reported as 17 Mar 1906. She was buried after 7 March 1906 at Immaculate Conception Church Cemetery, Kieler, Grant, Wisconsin. Name Variation Barthel Joseph Brandt was also known as Joseph. Name Variation Barthel Joseph Brandt was also known as Johann. Barthel Joseph Brandt married Margaretha Palmer. Barthel Joseph Brandt was born on 1 June 1796 at Bickenriede, Unstrut-Hainich-Kreis, Thueringen, Germany. He died on 12 September 1879 at Kieler, Grant, Wisconsin, at age 83. Married Name Her married name was Brandt. Name Variation Margaretha Palmer was also known as Margaret. Margaretha Palmer married Barthel Joseph Brandt. Margaretha Palmer was born circa 1798 at Prussia. Name Variation Victoria Brandt was also known as Brand. Name Variation Victoria Brandt was also known as Dora. Married Name 19 February 1878 As of 19 February 1878,her married name was Ginter. Victoria Brandt was born on 13 February 1856 at Wisconsin. Victoria Brandt married August Ginter on 19 February 1878. Victoria Brandt died on 14 July 1927 at Grant, Wisconsin, at age 71. Name Variation Christopher Brandt was also known as Christ. Christopher Brandt was born in April 1838 at Prussia. Christopher Brandt married Margaret Kensler circa 1861. Christopher Brandt died on 1 September 1910 at age 72. Gertrude Brandt married Charles C. Bauer. Gertrude Brandt was born in December 1892 at Jamestown, Grant, Wisconsin, also reported as 08 Mar 1887. 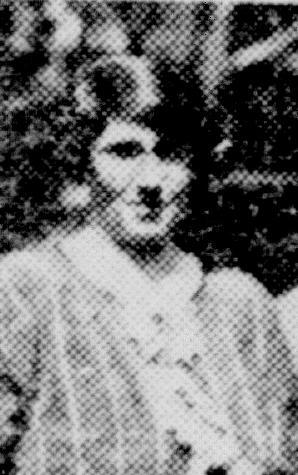 Gertrude Brandt died after 1941. [S245] U.S. Federal Census 1900 U.S. Federal Census, by Ancestry.com, Year: 1900; Census Place: Jamestown, Grant, Wisconsin; Roll: 1790; Page: 1A; Enumeration District: 0037; FHL microfilm: 1241790. George A. Brandt was born in March 1885 at Wisconsin. He was the son of Andrew Brandt and Anna M. Loffelholz. Henry N. Brandt was born in December 1886 at Wisconsin. Christina Brandt was born in March 1889 at Wisconsin. She was the daughter of Andrew Brandt and Anna M. Loffelholz. August A. Brandt was born in May 1895 at Wisconsin. Edmund Brandt married Anna Christina Degenhardt. Anna Christina Degenhardt married Edmund Brandt. Joseph Brandt was born circa 1830 at Prussia.